Free Shipping Included! 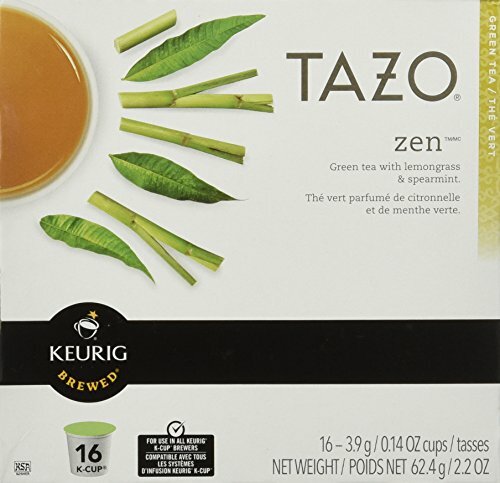 Keurig Tazo Zen Tea 32-Count K-Cups for Keurig Brewers by Starbucks at Jakis Cafe. MPN: 10519. Hurry! Limited time offer. Offer valid only while supplies last. Tazo Zen Tea offers a distinct green tea flavor accented with lemon and mint.